Pillars of Eternity came out recently, and it's good. It's like Baldur's Gate, except with an original setting and roleplaying system. It was funded largely through Kickstarter, and I backed it, and I'm happy I did so. It was a game I wanted to play. I've also recently played through Shadowrun Returns. It's another crowdfunding success story, though one I didn't have any hand in. 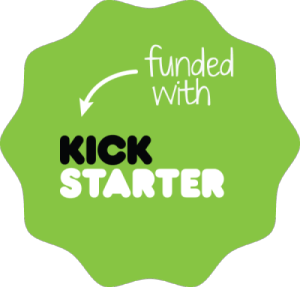 Both crowdfunding campaigns were wildly successful, in no small part to the many levels at which a backer could contribute and receive a reward. Most of these were in the form of ingame items, but some of the higher levels included such options as having some representation in the game beyond a name in the credits. However, no matter how well integrated into the game they are, some of these representations are pretty obvious. In Pillars, I noticed an abundance of NPCs that are as well dressed as my characters, and having their own backstories. There was also some backer-created text that made it into the final game that wasn't well-reviewed and caused a commotion. In Shadowrun Returns, I noticed some NPC characters with dialog bearing recognizable names, and the ability to hire additional runners from a separate 'Nephilim Network' pool that all appeared to be backer-created. The Nephilim Network were more or less a representation of a certain backer level that allowed them to create their own Shadowrun character that could be used interchangably within the game's missions. They're presented as "higher quality" alternatives to the stock NPCs presumably created by the developers. The common theme of these is that they were obvious enough to be noticed, and noticing them pulled me out of the game for a minute. It makes a distinct connection between the fictional world the developers have created, and the real world that made the fictional world a possibility. In roleplaying games, this seems like a serious faux pas. It's difficult for me to reconcile the existance of a small hamlet where half of the citizens are garishly dressed real people, but the other half are just cardboard cutouts. In most games, these nameless NPCs would be simply ignored and fade into the background. They don't offer anything to the game. In the case of Pillars of Eternity, these would-be background decorations stand out. They disrupt the illusion. Don't get me wrong; I'm very happy that these two games in particular were made, and the contributions of the backers were clearly rewarded. I just can't help but wonder if these games would've been better, at least from a game immersiveness point of view, if they had been funded in a more traditional manner, or if the reward levels that inserted backer content into the game did not exist. It's not that the backer-created content isn't well disguised, but it exists and it nags at me that maybe this stuff is skippable, or maybe it's better than what the developers intended because it got extra attention. I haven't checked in on Shadorun Returns: Dragonfall. I'm pretty sure it is free of backer contributions and that might make it a more immersive game. Intrepid modders have already created mods that remove backer created content in Pillars of Eternity, so I am not the only one who might be bothered by it. Surely, these are not the only crowdfunded games with backer-created content, and they won't be the last. My hope is that future crowdfunded games will recognize that allowing just anyone with a fat enough wallet to insert themselves into their game is incongruous with creating an organic and believable world.